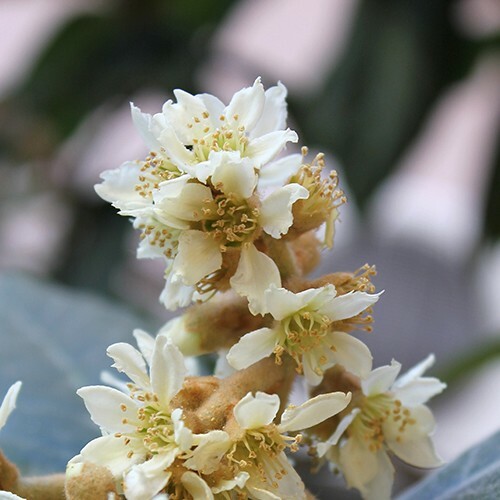 Loquats are a joy to grow as they produce beautiful white blossoms and unique fruit that is great for snacking or for making creative desserts. Loquats are beautiful trees that grow pretty white blossoms that transform into sweet & delicious, pear-shaped fruit. The fruit is also slightly acidic but the unique taste is a favorite for jams and jellies. They are also commonly used in cobblers and pies. Loquat fruits are also sometimes fermented and used for fruit wine. In Italy, they make a famous liquor from Loquat and Apricot seeds that tastes somewhat like Amaretto. 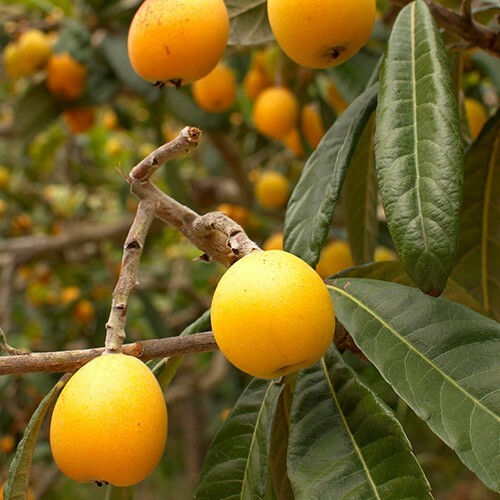 Loquat fruits should be allowed to ripen fully on the tree before harvesting. 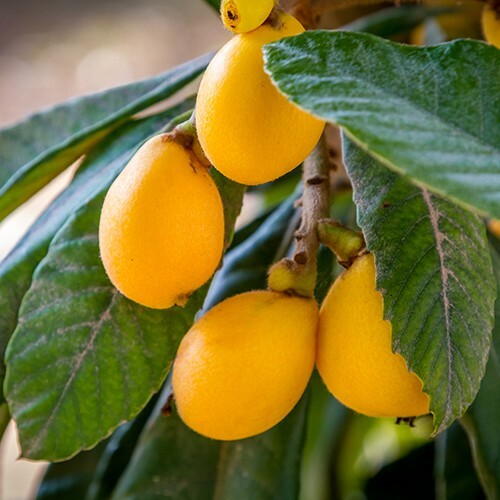 Loquat trees are drought tolerant but they will produce higher yields of better quality fruit with regular, deep watering. 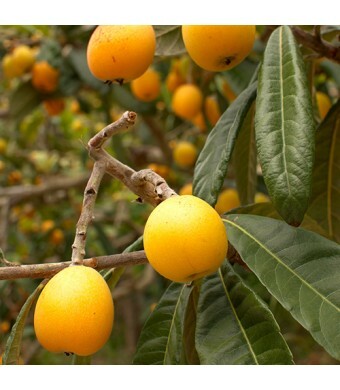 Loquats benefit greatly from balanced fertilizers (such as a 5-5-5 N-P-K). Fertilizer should be applied a few times per year. Loquats are cold hardy is USDA Growing Zones 9-11. They can be grown as a container plant in all other U.S. zones if they are brought indoors for the winter.